My brother is really big into the Mardi Gras scene in Mobile, Alabama. He is part of the MOT's which is Mystic of Time...they had their parade on this past Saturday. Here are a few shots of him with his dragon float that he rides on. 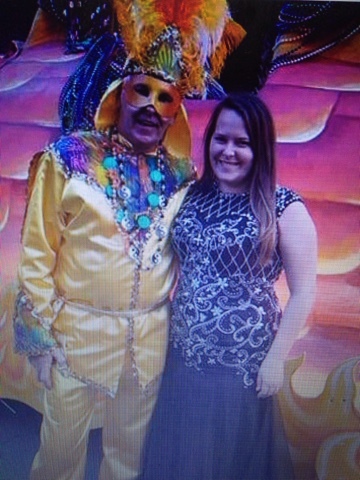 One pic of him and his youngest daughter, who went down to be with him during Mardi Gras. 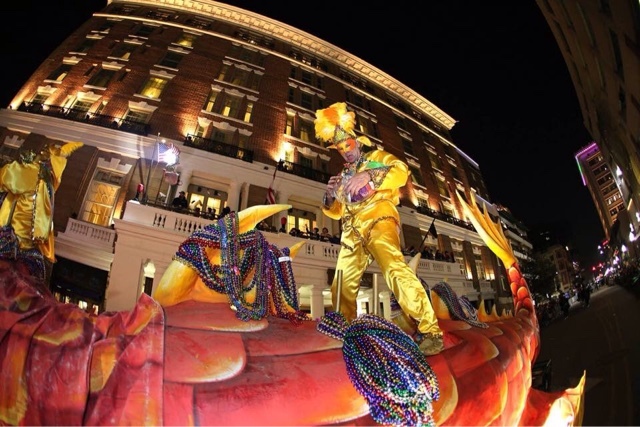 Also a bit of history for those who may not know about Mardi Gras being celebrated in Mobile. " 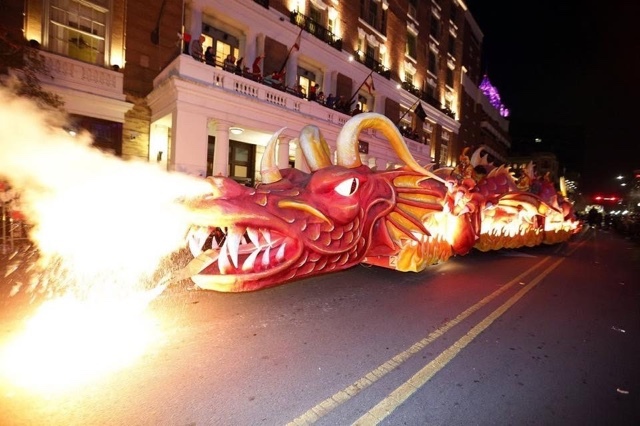 Before New Orleans, there was Mobile, Alabama-the birthplace of Mardi Gras in America. Mobile, was founded by Roman Catholics from France in 1702 and was home to the first mystic society or "krews", which held America's first Mardi Gras celebration in 1704, 14 years before New Orleans was even founded." Oh Wow! That is a bit of very interesting Mardi Gras information. The dragon float is pretty impressive too. Looks like a good time. 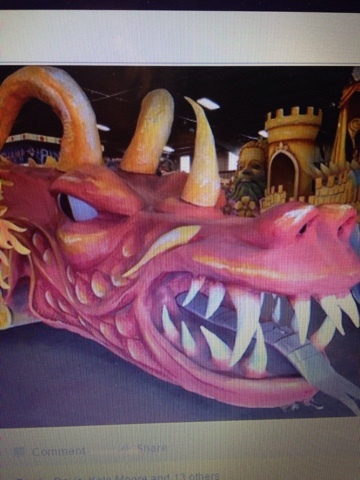 I did not know of this Marci Gras history. Your son certainly looks like he enjoys celebrating. Awesome Dragon. It's actually my brother...and he loves it.